Modern College of Professional Studies is located in the Anand Industrial estate, Mohan Nagar of the Ghaziabad District of Uttar Pradesh. · Hi-tech Language Lab, multimedia support and well furnished rooms. · Organizing/ Holding Remedial Classes for weak students to facilitate completion of the course. · Organizing add-on courses for personality development of the students. · Offering scholarships to the needy and deserving students. · Giving liberal concessions to the economically backward students. · Issuing books from the Book Bank to the meritorious and needy students. · Started student guardianship programme for identifying weak students and giving guidance as per need. Modern College of Professional Studies, Mohan Nagar Ghaziabad affiliated by ccs university, Meerut provides BBA course and this course is designed in such a manner that it leads to the foundation for doing MBA course or any business and management course students wants to go. It is a bachelor’s graduate degree accepted globally i.e., acceptable by all Private industries and Government sector. The degree is popular across the world. It was introduced in U.S. in the year 1950. This course gives complete knowledge about the corporate world and also teaches all the fundamentals of management required to face the extensive competition in the market. It is a professional degree covering huge business related management subjects giving you a competitive edge. It can also help you to become a very good entrepreneur as it develops business and entrepreneurial skills as few subjects are included in the curriculum of BBA course like Entrepreneurship and business development, Marketing Management etc. This course also gives opportunity to the students to opt for a job in Government departments like Banks, Railways, defence services etc. MCPS also provide many others skills development courses for the help of BBA’s student. As mentioned above this college located in Ghaziabad. Delhi NCR – (Delhi, Gurgaon, Noida, Faridabad, Maneshar, Ghaziabad, Sonipath & Ballabhgarh) is a well-planned area and India’s most prominent Industrial Educational & Software hub. These towns are Located within 45 k.m. radius of Delhi and there are more than 3000 Corporates, MNC’s & Software Industries operating in these cities. Most of these companies are having either – their head quarter, corporate office or India office, based in national capital region (NCR). The above geographical and locational advantage of Delhi NCR provides ample scope for industry academia partnership which ultimately leads to abundant placement opportunity for fresh BBA graduate. It offers students a very best environment to complete their BBA with internship and get a suitable job. 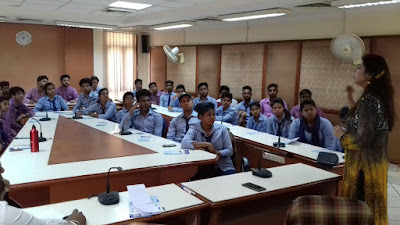 In terms of job opportunity Delhi NCR is equivalent to three times of Bangalore and two times of Mumbai, Delhi NCR accounts for 40% of total fresher placement.so when any student after his/her intermediate opt any college near job opportunities then it will be more suitable for his/her carrier. A good BBA degree has long been recognized as the stepping stone to success for a corporate career worldwide. In today’s rapid changing business environment a management graduate requires the ability to adapt himself after carefully analyzing the economical, sociological and technological trends of the corporate world. Hence I suggest ambitious students to opt for this course from MCPS to develop competency in them in order to face the competitive world. Education is a pretty broad concept that surpasses the four walls of a classroom. In current scenario intuitions have a broad educational mission: to develop the students in every aspects of life. To fulfill this mission, there is a prime need of striking a balance between syllabus, curriculum, books and also co-curricular activities beyond that. Co-Curricular Activities involvement is a key tool for personal as well as professional development. These activities essentially take place outside a typical pen and pencil classroom experience. It gives the students a chance to develop particular skills and show their non-academic abilities. For the majority of college students, involvement in Co-Curricular activities plays an integral role in the academic experience. They involved in these activities not only for entertainment, social, and enjoyment purposes, but most important, to gain and improve skills. A Chinese proverb very aptly states, “Teach me, and I will forget. Show me, and I might remember. Involve me, and I will never forget.” Co-curricular activity helps students to involve them in new things according to their interest, understand the Art of living and benefits for working together. These activities provide true and practical experiences to students by their own learning. It professes coordination, adjustment, and speech fluency, extempore and debating skills amongst students. It teaches the students to stand up for their rights. Co-curricular activities render a number of values like: Educational value, Psychological Values, Development of Social Values, Development of Civic Values, Physical Development Values, Recreational Values, Cultural Values. Co-curricular activities are vital because even though they are not a part of the core curriculum, they play a very crucial role in giving the students ability to mould their lives to become well rounded people. To understand the importance of co-curricular activity MCPS regularly organizes these type of activity for all round development of students as well as pupil-teachers. MCPS believes that students who participate in these activities show stronger relationships in college, higher academic results and are more likely to lead a healthy & active lifestyle. Students also feel a sense of belonging to the college and have higher self-esteem by participating in structured activities like music, dance, performing arts, etc. In addition to this, students are motivated and it leads to a happier, healthier and a more cohesive college atmosphere. Modern trends in management supports nimble redo process that focus on innovation, software development and social impacts. Management is rapidly evolving field with a wide variety of formal and informal approaches and perspectives. While the new management practices are appearing day by day in entrepreneurship, manufacturing, informational technology and social trends. A rout and nimble management style focus primarily on iteration and the capacity to make nonhierarchical work structures that empower growth and innovation without the rigidity of normal conservative management. Entrepreneurship is rapidly emerging as a modified megatrend of 21st century given its capacity to reshape economies and industries throughout the globe. A key drivers of economic growth i.e entrepreneurs are an animus of any economy. Generating jobs, introducing new product & services and promotion of the same. During last for years, the global entrepreneurial landscape has notice a paradigm shift in terms of trends with SMEs playing a important role in social and economic development of the country. As per organization for economic corporation and development (OECD) SME’s average contribution is more than 50% of GDP. It provides employment to apx 60% to local workforce and 70% job opportuinites are generated through SMEs only. Its not that only but apx 30% of exports is done from SMEs only. Social entrepreneurship is a current emergence in management in which entrepreneurial management styles are being taken to the non-profit and community development sectors. An organization named Modern College of Professional Studies, Mohan Nagar, Ghaziabad also has been making efforts in the same direction to prepare new managers, entrepreneurs and IT Professional to strengthen the nation. It has been providing bachelor degree in the field of management (BBA) and computer science (BCA). To pop up with the present scenario, this college provides industrial visits to organizations like NIESBU (the National Institute for Entrepreneur and small business development), a premier organization of the Ministry of skill development and Entrepreneurship engaged in training, research and consultancy etc to promote entrepreneurship throughout the world. To give the practical apprentice knowledge and to promote ‘Make in India’ theme, it brings students to NSIC (National small industries corporation Ltd.) Delhi. It has been working to fulfill its mission of promoting, aiding and fostering the growth of micro, small and medium entrepreneurship. 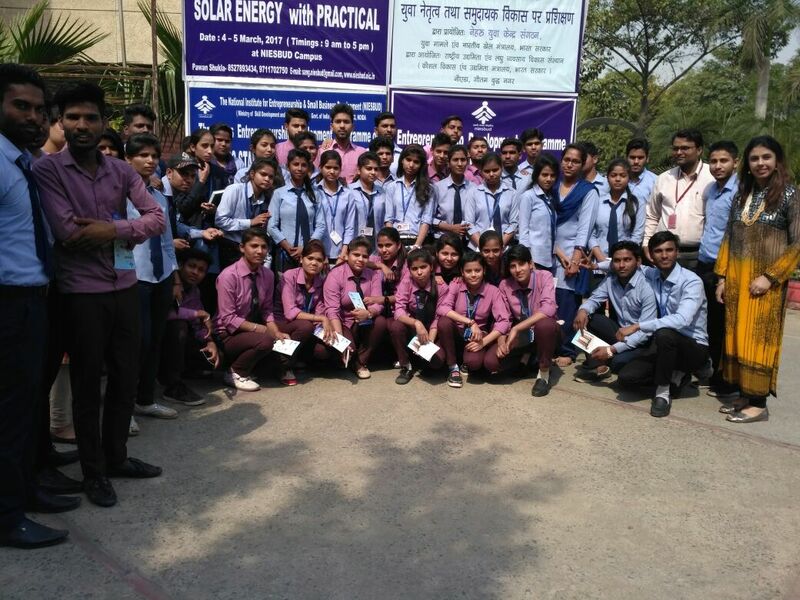 Here the students get the practical exposure with the companies like Coke Ltd., Mother dairy and many more to be more competitive in this cutting edge.